The books are done and canon. Yep. She should. The Harry Potter series, all seven books, ended eight years ago now in 2007. And yet, ever sense that time and into the present day, J.K. Rowling has released tidbits of information about different characters, settings and plot details. But none of that matters to me and I can’t count myself as a fan that wants to know that information. I, like every other fan, would absolutely love if there were more Harry Potter books to dive our heads into. Or spin-offs that further explored the wizarding world. However, Rowling releasing tidbits from time to time, year after year, is not what I want. The books are done. They are canon. And they are unchanging. What’s done is done. 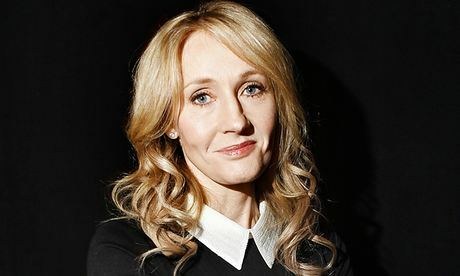 It’s a matter of diminishing returns if Rowling continues to offer up new information and it keeps filling in the gaps in the reader’s imagination. I don’t need to know all the answers. Everything important was wrapped up in canon. There’s even a play coming out called The Cursed Child that’s supposedly a sequel to Harry Potter! I mean, come on. And every time she does, it undoubtedly makes the media circuit because Harry Potter is a big deal. But honestly, J.K. either write a new book or just leave it be. I just don’t consider any of the new information that wasn’t in the seven books of importance or canon. I agree with everything you just said. She should really just leave the series alone now. It ended brilliantly (in my opinion) so I don’t see why she has to constantly start up with new projects. Ah thank you! I’m glad you stopped by and thanks for the kind words!